Passport applications are accepted / processed between 8:00 a.m. and 3:30 p.m.
Limited appointments are available until 4:00 pm by calling (989) 317-4089. You must submit a completed application to the Register of Deeds Office. DO NOT sign the application until in the presence of a Register of Deeds employee. Certified birth certificate or original naturalization and a copy of the front and back of that certificate or a previous passport if over age 16. Valid Identification (Michigan Driver's License) and a copy of the front and back of your drivers. A 2 x 2 inch passport photo on a plain white background. Photos are available through the Clerk's Office for a $12.00 fee. For circumstances requiring additional privacy please contact (989) 314-4090 for an appointment. All applicants must appear in person. All Applicants - $25.00 Execution Fee. (Cash or check made out to the Isabella Register of Deeds.) Amount will increase to $35.00 as of April 2, 2018. 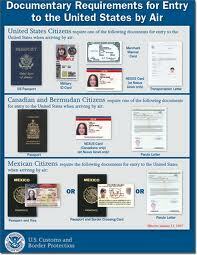 $60.00 Expediting Fee if passport is needed sooner than the 4-6 week processing time. Note: To submit an application for a child under age 16 both parents or legal guardian must appear with photo I.D. Click here for US Dept. of State Travel Requirements, Travel Warnings and Travel Information. A marriage certificate or court order if your name has changed. A 2 x 2 inch passport photo on a white background. If you are unable to provide any of the above, you cannot renew your passport by mail on your own. You must apply in person at the Register of Deeds Office.